This week is about fitness flow. 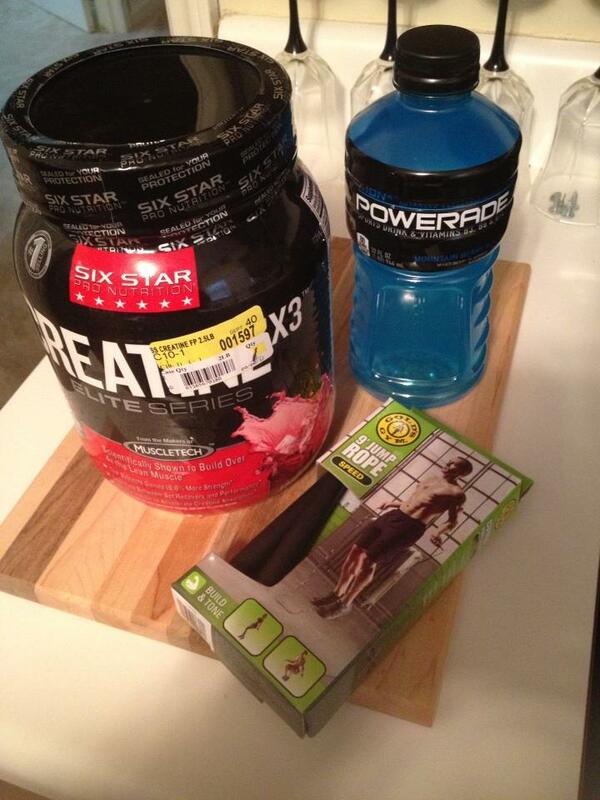 While out shopping locally, I decided to grab a few things related to fitness; A Jump Rope, Pro Nutrition Creatine X3 Elite Series, and a bottle of Powerade for immediate consumption. My short-term goal is to gain muscle mass while increasing my cardio work outs so hopefully everything works as planned. Currently, I have free weight dumbbells lying around my garage, and a bunch of routines to get me started. Stay tuned, more updates to come.